Kate Takes 5: Things that piss me off no. 374 - Insalubrious crap being purported as healthy. Things that piss me off no. 374 - Insalubrious crap being purported as healthy. There's a lot of behind the scenes talk at the moment about the banning of advertising of 'unhealthy' foods during children's TV programming. 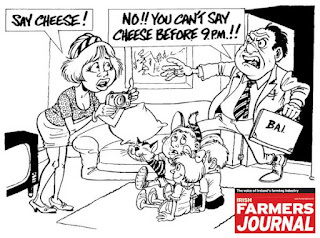 The Broadcasting Authority of Ireland recently announced that they intend to put a ban on the advertising of foods high in fats, sugar and salt during these specific times, but since then the message has somehow got lost in cheese. (I know, I know - what is it with the Irish and cheese?). Anyhow, the point of the ban in advertising - which is in line with what is already in place in the UK - is to help stop pester power. So the kids don't see the Coco Pops advert and so they don't want the Coco Pops and so they don't pester Mum to buy the Coco Pops. 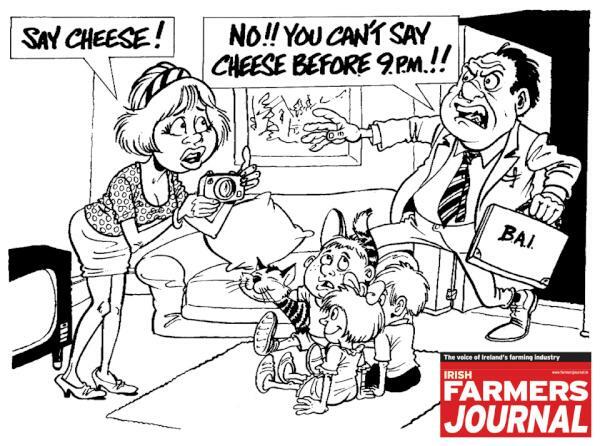 (But they do because according to BAI most children actually watch TV between 6pm - 9pm, plus they don't just watch Irish terrestrial channels. So RTE starts losing it's advertising budget when Kellogg's dump them and becomes even crappier than it is now. It's a lose\ lose situation). To be honest I agree that pester power is a pain in the arse. With 3 kids hanging off a shopping trolley shouting for Super Noodles the chances are you're gonna chuck in the Barbecue Beef and run for the tills - but at least you know you are buying them crap. My big gripe is not the advertising of the rubbish that you know is rubbish, it's when you're stood for 10 minutes in the yogurt aisle trying to work out what actually IS the rubbish. Is it better to buy the one with 'sugar' as the first ingredient or the one that doesn't list sugar at all but has dextrose, fructose, glucose and lactose lined up like unknown cousins at a wedding. Choosing healthy food for our kids is hard enough without needing a degree in food science to make sense of some of the labeling, and without products like Nutella being advertised as 'a low GI' food 'containing wholesome milk and hazelnuts'. Pah! Seemingly everything these days is 'natural', 'wholesome'. 'low in fat' or 'a good source of fibre' despite being packed with trans-fats, salt, fake sugar or any other nasty you care to mention. What Mums need is not a ban on advertising to our kids but a tightening of laws on false advertising and a clear system for the labeling of products that we can all make sense of. Until that happens the multinationals will always be 10 steps ahead of us and us Mums will be spending longer and longer in the supermarket aisles trying to figure out what 'High Fructose Corn Syrup', 'Kosher Gelatin' and 'Tricalium Phosphate' actually mean.